Houzz, in light of some recent changes you’ve made, you're well on your way to commoditizing the construction industry making it even harder for builders, remodelers, and contractors to be unique and turn profits. Visits to a website site no longer show on Google Analytics (not just Pro+). This needs to be fixed ASAP! Let’s tackle the big one first. Item number two. How is this occurring? 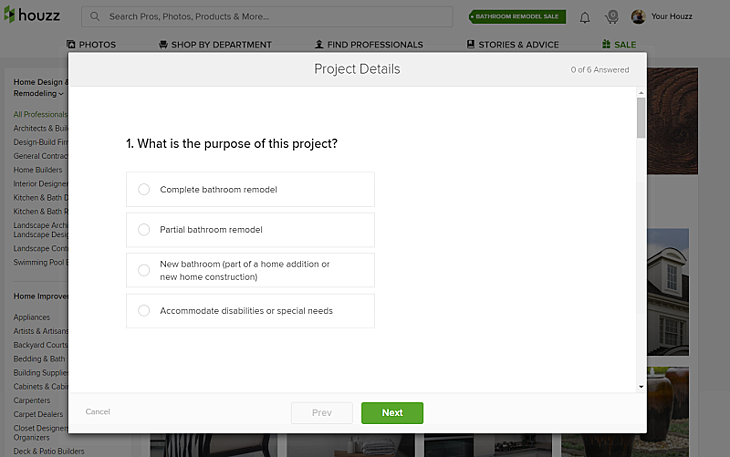 When I log in to Houzz with my personal profile, I can search for professionals, look at photos, browse, etc. However, I’m also prompted with this search bar below. When I click in the search bar, I can select from many different services. I clicked on bathrooms, when this popped up. As I work my way down, I fill out a few basic questions like timeframe, budget, and scope of work involved. Then, it brings me to this. After I hit “Request Quotes”, you send this to three different contractors. On one hand, this may help generate some more leads for contractors (assuming you’re one of the lucky 3 to get a lead). BUT, it’s doing something larger than that. It’s training the public to get multiple bids, and that any contractor will do. I don’t get to choose who contacts me. How do I know any of them are a good fit for me? The last thing we need in this industry is to drive prices further and further down. Labor is already tough to come by, meaning prices need to go up as labor prices increase. We also want to be unique and different. We want to be a great match with our clients. They should be able to vet us, while we vet them. That’s what creates amazing remodeling experiences that lead to positive momentum for the industry. If we train people to get 3 bids from random contractors, this could start a downward spiral on prices and make it tougher for any contractor that doesn’t want “low price” to be their USP. Our stance is that it will hurt the industry over time rather than help it. We already have a site dedicated to this approach (Home Advisor). I thought you were different Houzz. I thought you were a place to set yourself apart with design heavy images, cool project portfolios, and a way to interact with browsing customers. 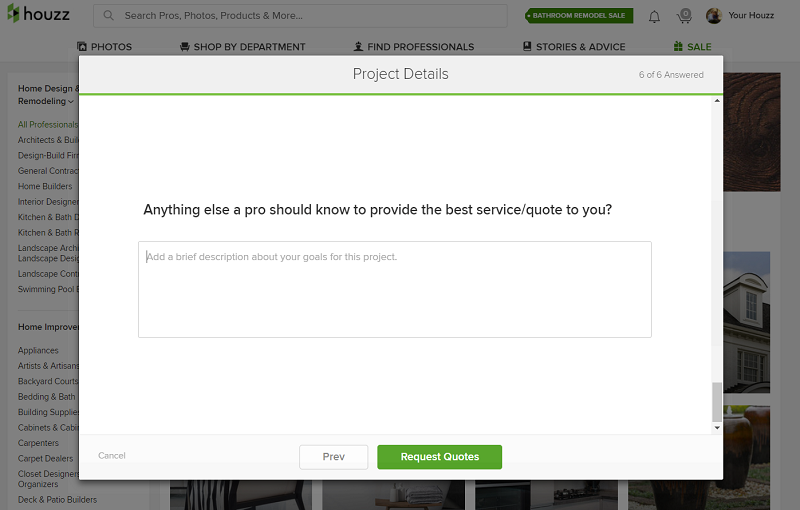 Looking forward to hearing from you as well as any companies using Houzz as a professional. We hope this Open Letter to Houzz was informative and helpful! Houzz can be a great tool for builders, remodelers, and contractors. However, it should not be the main platform you count on for qualified leads. Generating leads through organic search, paid ads, and social media can also help fill out your sales pipeline with people interested in exactly what you have to offer! If you want to learn more about just one way you can start diversifying your lead sources, click on the button below!